TMA Technology System Pte Ltd was established in 2007, and now has over 9 years experience in electrical supply services. We providing security solutions and specializing in autogate, alarm system, card access control & CCTV. Tired of stopping your vehicle and manually open or close your gate every time you leave or come home? Simplify the process with an automatic gate opening system that lets you control your gate from the comfort of your vehicle! Just press the remote controller in your car and it will open the door for you. When you exit, you can just close your gate with another press of the remote control. To avoid bad weathers i.e. heavy rain. You will no longer have to get yourself wet during heavy rain when you need to open your gate. When you exit, you can just close your gate with another touch of the remote control. Robbers tend to mug / rob you when you get off your car to open your gate. 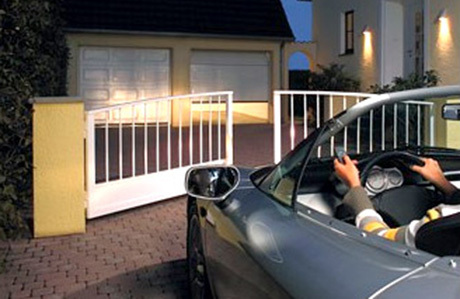 With an autogate system installed, you can make sure you are safe to get off your car when your gate is fully closed, leaving no change for the robbers to have body contact you. For any further enquiries, please feel free to contact us. Our professional team will be pleased to assist any enquiries you have.